One of the things that was confirmed during the What’s New, What’s Next event that took place in Disneyland Paris in September 2013 was that Main Street USA was to get a complete refurbishment. 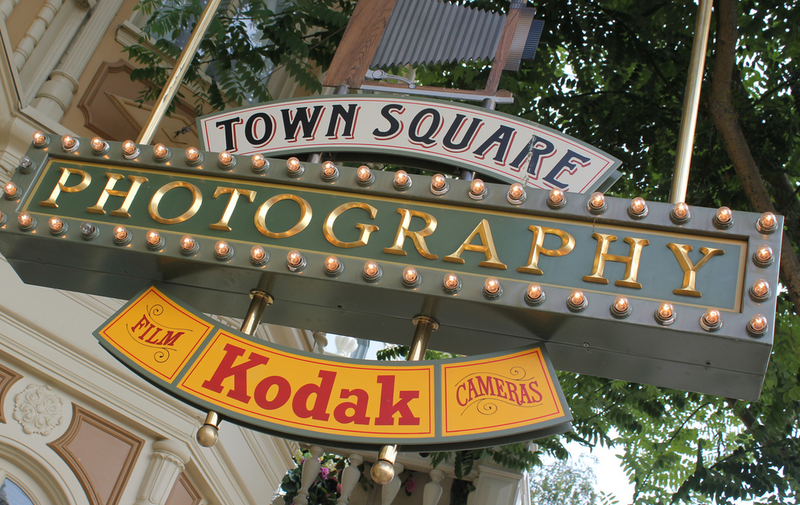 Disneyland Paris fans rejoiced at those words; the down side of that announcement was that Town Square Photography was to be completely ripped out and would start life again as a brand new store. The new store Flora’s Boutique will be designed as a Parisian boutique selling the resorts range of Paris merchandise. So goodbye Eddie Sotto’s Town Square Photography that has delighted Disneyland Paris, and photography fans for over twenty years, and hello a new boutique. A French group named ED92 – Pour un retour aux standards et aux valeurs de 1992 à DLP (ED92 – For a return of the standards of values of 1992 at Disneyland Paris) have started a campaign to save this store – A campaign that I wholeheartedly endorse. Has photography evolved within the past twenty-one years? Beyond recognition. Walt Disney himself once stated that Disneyland will never be completed. It will continue to grow as long as there is imagination left in the world. However, one could argue that Main Street is almost a museum, it is a memory of the past and whilst yes, it can evolve. Should that be at the price of one of the best pieces of imagineering in existence? In the past that Main Street seeks to represent, these types of photography stores will have existed, and thrived. Town Square photography contains phones in which you may listen to conversations, old photography devices, and Eddie Sotto’s office. I’m not arguing that the store needs to change its product line, I’m arguing that it should not be at the expense of beautiful themeing. Take Main Street Motors, it’s a beautiful shop – but does not sell cars. There is a real risk that we are about to lose something quite beautiful. Disneyland Paris is not a museum, but it does (to some extent) represent the past, and can educate youth as to what a turn of the century town will have looked like. Let’s not lose that. As a rule, I tend to avoid posting about these sorts of petitions. I believe that this store represents the best of Disneyland Park, and would not like that to change.